​Arguably, a formidable presence on the Internet is one of the best ways to get your agency's name out there and keep it fresh in the minds of prospective clients. We can help you accomplish your goals. Creating a website. A professional website with an easy-to-remember URL can help your potential clients find you on the web. . Using social media. Create profiles for your business on Facebook, Twitter, and LinkedIn. These sites are a no-cost way to build brand identity, network with potential clients, and establish professional connections. LinkedIn is particularly useful for reaching commercial clients. Advertising online. The web has plenty of ad space, so do a little searching and see where your agency may fit. You could sponsor a site, create a banner, or use a Google pay-per-click ad. But whatever you do, don't buy pop-up ads - no one likes those. Keep in mind that your online presence can't be an afterthought. Customers expect a degree of Internet savvy from the professionals they work with, and that includes their insurance agents. ​In an extremely competitive industry, like insurance, it is vital to get to the business first. Our success in placing our clients at the top of the ad results at a flat rate will get you connected to customers quickly, efficiently and at a very cost effective rate. This will help you utilize your ad spend and receive the maximum return on your investment. What makes our product unique is the fact that we offer exclusivity rights (one Allstate, one State Farm) per city location. 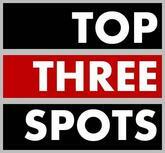 Top Three Spots is at the forefront of pay-per-click advertising, allowing us to successfully manage your budget to bring the maximum internet exposure possible. Who said SEO was easy? Thankfully all is not lost, if you’ve survived the almost unrelenting challenges associated with corporate compliance and still want to learn more and increase your skill set in one of the most difficult niches online, then read on and see if our top 3 tips on Insurance marketing can help you make your mark in the insurance world. Due to the sheer level of competition in the insurance game, your best chance of getting results quickly would be to find long-tail searches with a high enough search volume but low levels of organic competition. While the insurance industry isn’t your typical long tail SEO play (unlike travel or retail, for example), if you’re smart about it you can discover some very interesting opportunities. Search engine marketing or PPC allows you to directly purchase your positioning and capture consumers at their point of purchase. The Google AdWords Keytool is infinitely helpful in helping you achieve this task. For insurance – we know that a brand new site won’t be able to compete for this headline term, but with a little creative thinking we can find a search term that has very little competition, but would most likely result in a high level of conversion. For insurance providers that have physical locations, make sure you take full advantage of Google Places and other local directories. Not only will T3spots help you gain additional visibility for local based searches, but we will also help you see the advantage of the multiple backlinks that you can acquire from sites like Yelp, Yahoo, Bing and more! If content marketing isn’t on your current agenda, then you need to make sure it is soon! Don’t get left behind, as AuthorRank is tipped to be one of the next major influencing factors within the SERPs. With a claimed author prolife that is connected to your site, you will not only see the benefit of additional real-estate within organic listings, but by creating helpful and informative articles, you’ll be increasing the foot-traffic to your website.